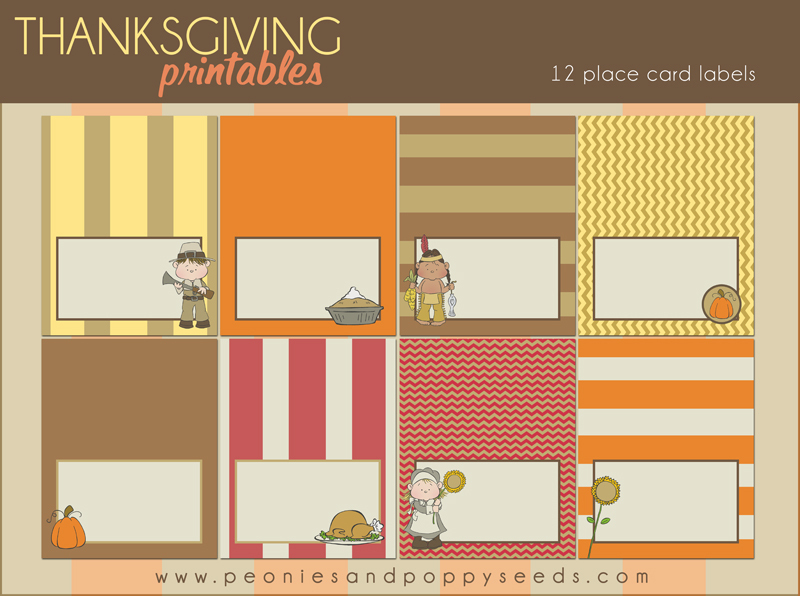 This last set of Thanksgiving printables will surely put the finishing touches on your perfect family dinner. To get these free Thanksgiving printable place cards click on the image, or just click here. Print the cards, cut them apart, then write the name of each guest in the box. Fold the cards in half and place them around the table at each place setting. It will add that perfect touch of fun to dinner, plus then no one will be fighting over where to sit.